Today February 22 and tomorrow February 23, celebrity stylist and television personality, Robert Verdi, is launching an exclusive collection of sunglasses with HSN. You can always spot Robert during NY Fashion Week wearing sunglasses on top of his bald head and he is known for his celebrity clientele including A-listers like Eva Longoria, Bethenny Frankel, Kathy Griffin, Hugh Jackman, Joy Behar and Sandra Bernhard. Robert will now bring his expert style advice to HSN viewers in this, his first sunglasses collection. The Robert Verdi sunglasses collection has a variety of frame styles, unique colors and prints; all for under $40, including an exciting assortment featuring both current and upcoming trends. At this price, why not give them to your bridal party. How cool will you all be especially for your destination wedding. Hurricane Irene and Queen Latifah are both creating a storm today. Irene for some not so great reasons, but Queen Latifah launches her new lifestyle line today. It’s not just clothing, there are also handbags and even hotter outerwear. With every celebrity creating a clothing line what makes this one so special? Well, Latifah has a direct hand in creating this line from the design, to color and sizes. Let’s face it: we can’t all be a size 2. What she does have is small to size 3X and something that everyone will love this fall. The Queen spared no cost but didn’t pass those expenses on to you. What this should show all designers is that you can be a fashionista at any size without breaking the bank. You go Queen!! Because everyone can use a bit of help in being stylish, these are some tips that Queen Latifah waned to share with you. With fall just around the corner, you too will be as fashionable as the Queen – All Hail!! A flattering neckline, preferably a V-neck, is a style staple for a curvy girl. A v exposes the collarbone and accentuates a woman in all of the right places. If your stomach is your trouble zone, a little draping goes a long way. Pair my Queen Collection leggings with my poncho to accentuate your legs and achieve an effortless look. Confidence is the best accessory, wear what you feel good in and feel good in what you wear. Step up your look with an oversized handbag, my faux fur weekender is the perfect accessory. Your personal style should be a reflection of your lifestyle. For a night out on the town wear something that makes you pop, gold is a no fail. My pleated and draped cowl neck dress is my go to right now. A warm palate like grey, olive and taupe flatters any shape. A moto jacket, a wardrobe staple, can carry you through from fall to winter. A little unexpected embellishment goes a long way. My embellished shoulder tank is the perfect blend of casual glam. “Gastineau Glamour” consists of modern interpretations of vintage styles. The premiere collection will include pieces that feature estate-inspired looks and boho chic designs, ranging from couture-inspired necklaces and earrings, to rings, cuffs and bracelets, all offered at accessible price points. The Gastineau women bring vast knowledge and worldly experience to this collection. Lisa has worked in the jewelry industry for 15 years both as a buyer and owner of two NY boutiques. 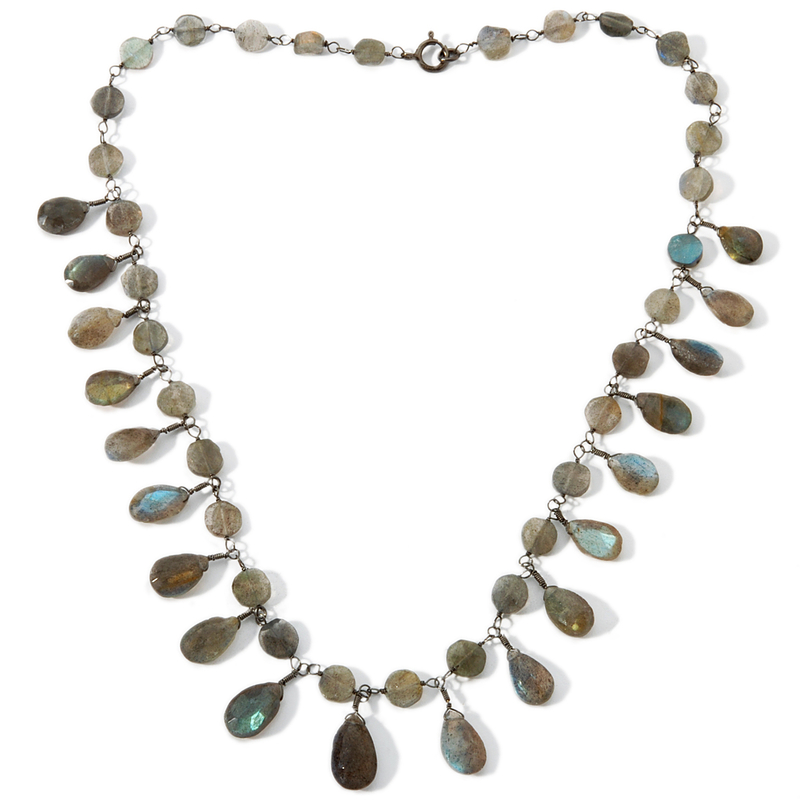 The Gastineaus made their debut in fine jewelry with the launch of TRES GLAM in 2010, which quickly became a favorite among celebrities and tastemakers. TRES GLAM has graced some of Hollywood’s brightest stars on the red carpet, including Debra Messing, AnnaLynne McCord, Kristin Cavallari, and Guiliana Rancic, among others. Lisa and Brittny will launch “Gastineau Glamour” live on HSN on Monday, March 21 at 2 a.m. and 9 p.m. (ET). For more information, please visit www.hsn.com.